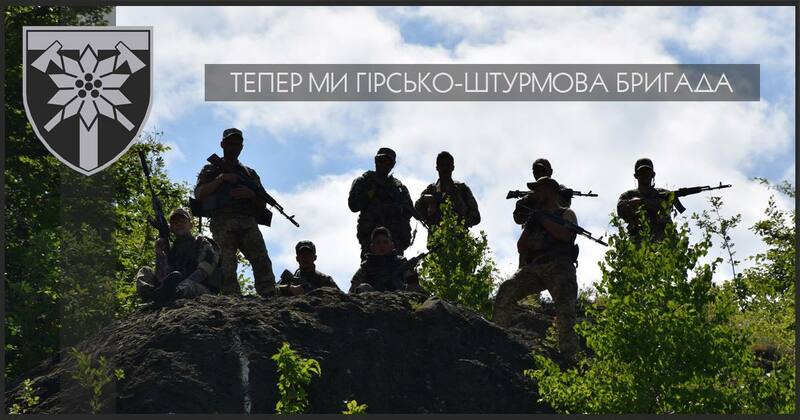 From June 1, 2018, 128th Separate Mountain Transcarpathian Brigade was transformed into a mountain-assault, and also received a new emblem. This was reported by the press-service of the brigade in Facebook. From today the Transcarpathian Legion becomes a mountain-assault brigade. In addition, our logo is also changing. Now it is a stylized sign of mountain infantry - a flower edelweiss with crossed axes and the letter "T" (abbreviated from "Transcarpathian"). But our victories and loyalty, courage and courage will remain unchanged! From now on, the Ukrainian Armed Forces has two assault brigades.